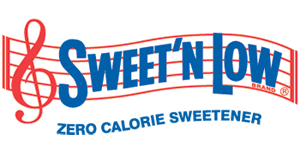 This is a Sponsored post written by me on behalf of Sweet’N Low for Socialstars. All opinions are 100% my own. 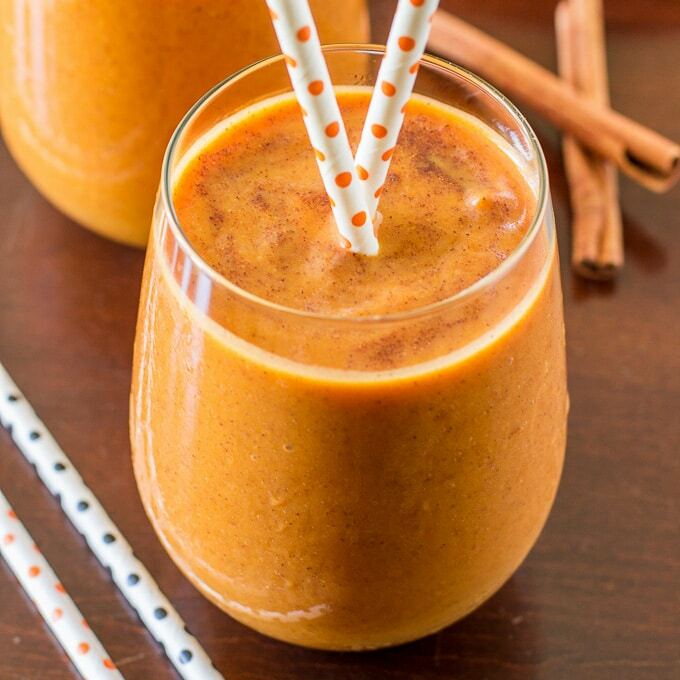 I also SPRINKLED a little pumpkin pie spice on top of each smoothie for added spice, but that’s totally optional! Sign up for the Deliciously Sprinkled newsletter for all my delicious recipes delivered straight to your inbox! And follow along on Facebook, Instagram, Pinterest, and Twitter for all the latest updates. 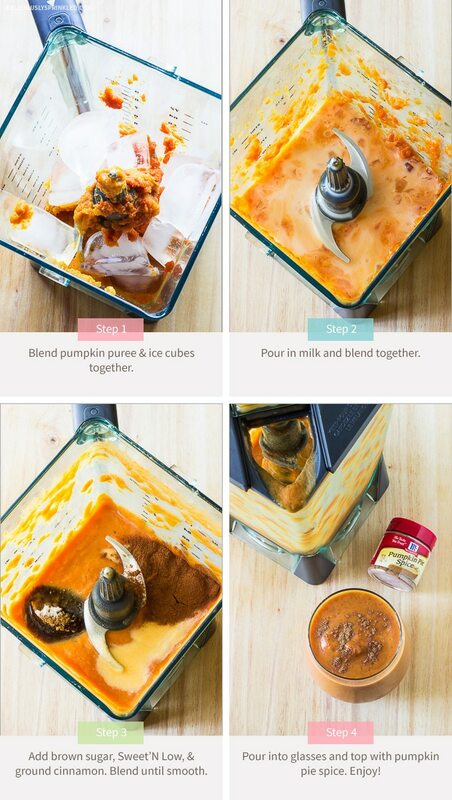 Blend pumpkin puree and ice cubes together until combined (see Step 1 image above). Add milk and blend together (see Step 2 image above). Add brown sugar, Sweet'N Low, and ground cinnamon. Blend together until smooth (see Step 3 image above). 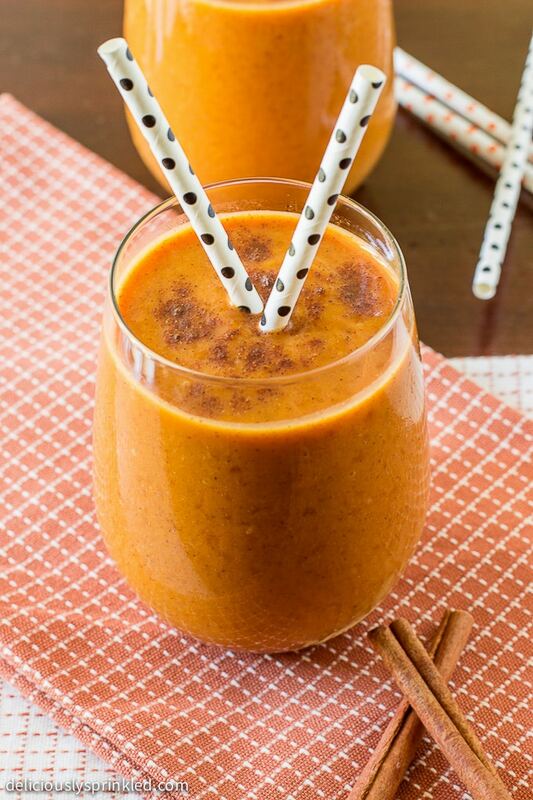 Pour into glasses and top each smoothie with a sprinkle of pumpkin pie spice (see Step 4 image above). Enjoy! 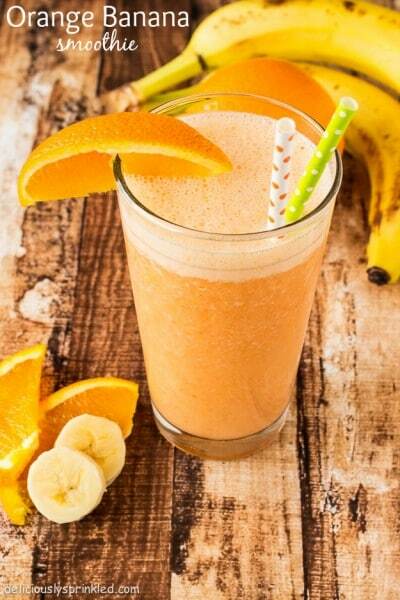 Another favorite smoothie of mine is my Orange Banana Smoothie! For more Sweet’N Low drink ideas, check out the recipes on their website, follow them on Facebook, or search Twitter for the #SweetNLowStars hashtag! Love who easily this comes together Jenn! It looks SO delicious, creamy and filling. 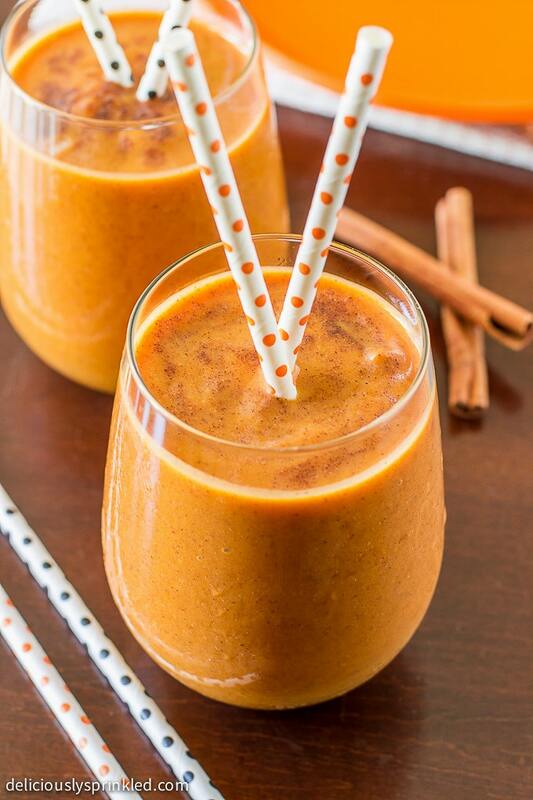 Perfect way to enjoy fall flavors while it’s still warm out! What a wonderful idea!! I could drink so many of these! happy fall! This sounds great! !